Herbie’s Bar during the fire. 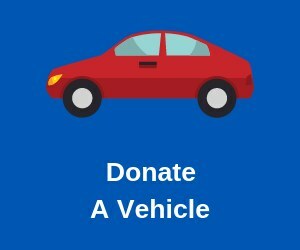 Photo courtesy of the Morrison County Sheriff’s Office. 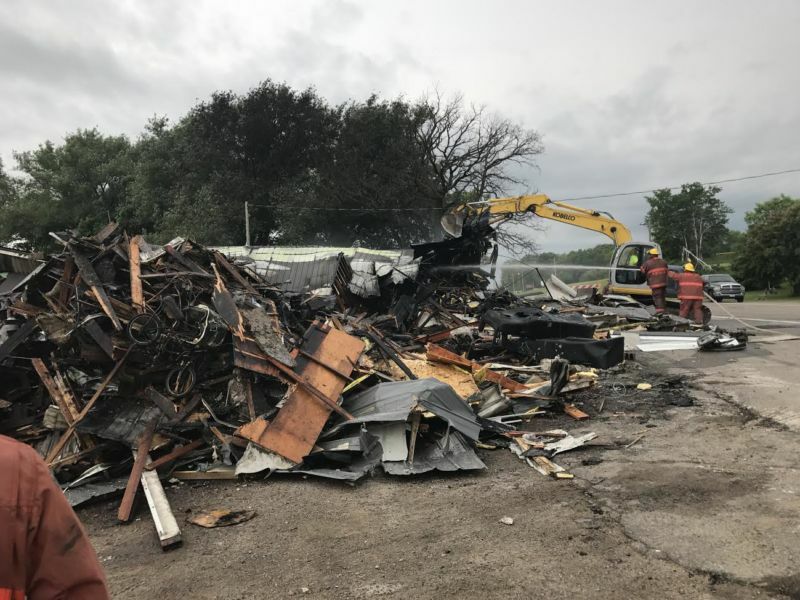 An “iconic” bar outside Little Falls has been declared a total loss after a fire tore through the building on Monday evening. No one was injured as they escaped Herbie’s Bar in Sobieski, about 5 miles southwest of Little Falls. Four patrons were inside the bar at the time, but were safely evacuated. 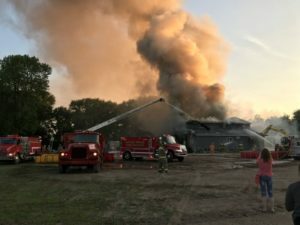 According to the Little Falls Fire Department, crews were called in around 6:45 PM to assist the Bowlus Fire Department. The Morrison County Sheriff’s Office was also called in at that time to help at the scene. The west and south end of the building along with two vehicles were fully engulfed by the time the two agencies arrived. The building was declared a total loss. The cause of the fire was not immediately clear. Investigators from the State Fire Marshall’s Office are working to determine the cause. A total of 70 firefighters responded to the scene. 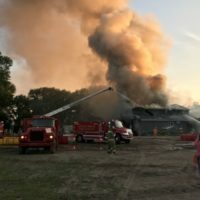 The Bowlus First Response Team, Upsala Fire Department and First Response Team, Flensburg Fire, Department, MN State Patrol, Gold Cross Ambulance, Morrison County Public Works and Rod’s Excavating and Bobcat also assisted at the scene. Herbie’s Bar after the fire. Photo courtesy of the Morrison County Sheriff’s Office.